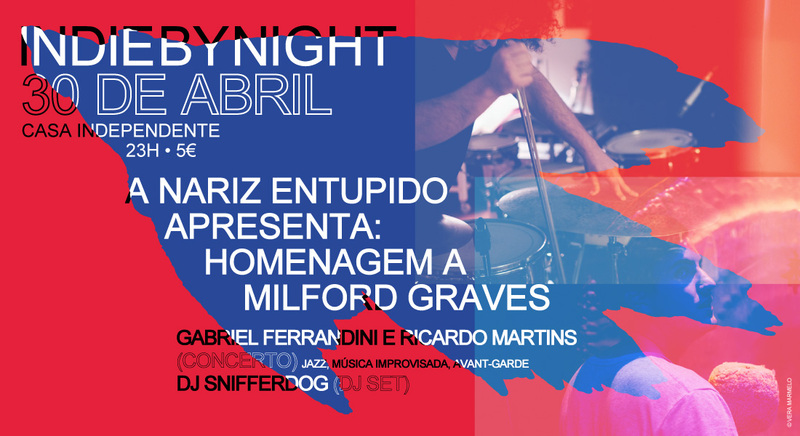 Nariz Entupido has invited Gabriel Ferrandini and Ricardo Martins to develop an exercise around Milford Graves and the documentary by Jake Meginsky and Neil Young – Full Mantis. Both musicians don’t need to be introduced due to the quality of the work they have been doing, but also due to the projects they frequently associate themselves with, as well as the scope of their research. Coming from seemingly opposing musical backgrounds, it makes perfect sense to unite them so that they too can work the matter of the intangible. This isn’t simply putting two drums together, it’s a measure of the present and universal – the heart. Milford Graves has opened a new musical path and Gabriel and Ricardo will continue to explore it.